Star Trek is finally back where it belongs. After a very long wait, Star Trek Discovery has premiered, which marks the return of the beloved sci-fi franchise to TV, where it originated, and is the first Star Trek TV series in nearly 15 years. This series takes place before Star Trek: The Original Series, but that doesn't mean we aren't going to see any characters from that show appear in this new show. 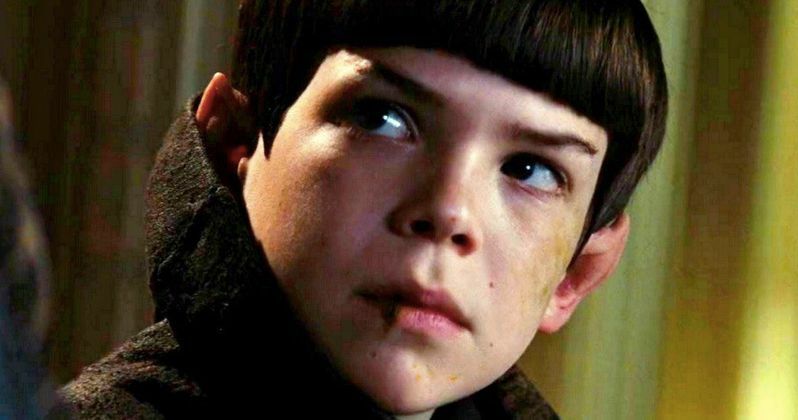 In fact, there is a very good chance we could see a young Spock. Star Sonequa Martin-Green, who plays Lieutenant Commander Michael Burnham on Star Trek: Discovery, recently spoke with IGN about her role on the series. As it happens, she was raised on Vulcan by Spock's dad Sarek. There are going to be some flashbacks to her early life on Vulcan, so does that mean we're going to see a young Spock? Martin-Green won't rule it out. Here's what she had to say about it. "There is certainly room for that...I can be brutally honest and say I think it is quite genius the way that they have weaved me into that story. And it is something that seems very normal when you see it. It makes so much sense. It's not what you'd expect, but it does make sense. But then I'll also quote our executive producer Alex Kurtzman, because he touched on it at San Diego Comic-Con. They said, how is this gonna happen? We've never heard of this woman before. And he said, I'll just say to you that we're working on it. Be patient with us, we get it, we're working on it." Star Trek: Discovery will be navigating some dicey waters with these potential cameos or appearances. Even though this show takes place before the original Star Trek, a lot of the history of these characters has been covered, so they are going to have to be careful with these flashbacks and what they do with established characters in order to not mess with the canon. But there's certainly room for it. And based on how Sonequa Martin-Green explains her complicated past, it could definitely make for some exciting episodes. "My parents were killed. And I was taken in to the Sarek and Amanda household as a result of it. [Amanda] affected me quite a bit, because here we're talking about that person who's taken out of the culture they were born in and placed into a different culture altogether. So [it's] culture shock, to say the least. So what was interesting about my upbringing with the two of them was I was indoctrinated with the Vulcan way of life. I was on Vulcan, and I was raised to be that. And so there was always the fight to deny my humanity and take on the sort of Vulcan spirit. But while that was happening, here's Amanda. Human Amanda. So here we have this household of this Vulcan patriarch, this human matriarch, this half-Vulcan/half-human boy, and this human girl." Leonard Nimoy's Spock is one of the most iconic characters in the history of sci-fi and, sadly, he is no longer with us. So if they do decide to bring a young Spock into the fold, Star Trek: Discovery could be making a pretty big gamble. If handled correctly, it could really help fans adopt this new show. If handled poorly, it may be enough to make some abandon ship. But the prospect alone is exciting. We'll have to see how this plays out during the course of Star Trek: Discovery season 1, which will be available on CBS All Access.